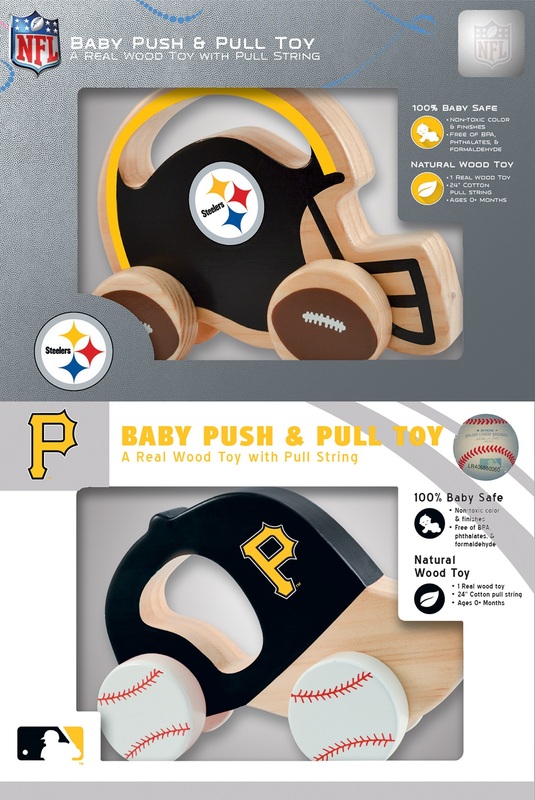 Pittsburgh Pirates Baseball Cap Push & Pull toy, designed for fun as baby grows, develops, and learns. Help baby develop gross motor skills and hand-eye coordination by sitting up to build strong new muscles to push the toy. Pull the toy by the attached cotton string when walking begins. 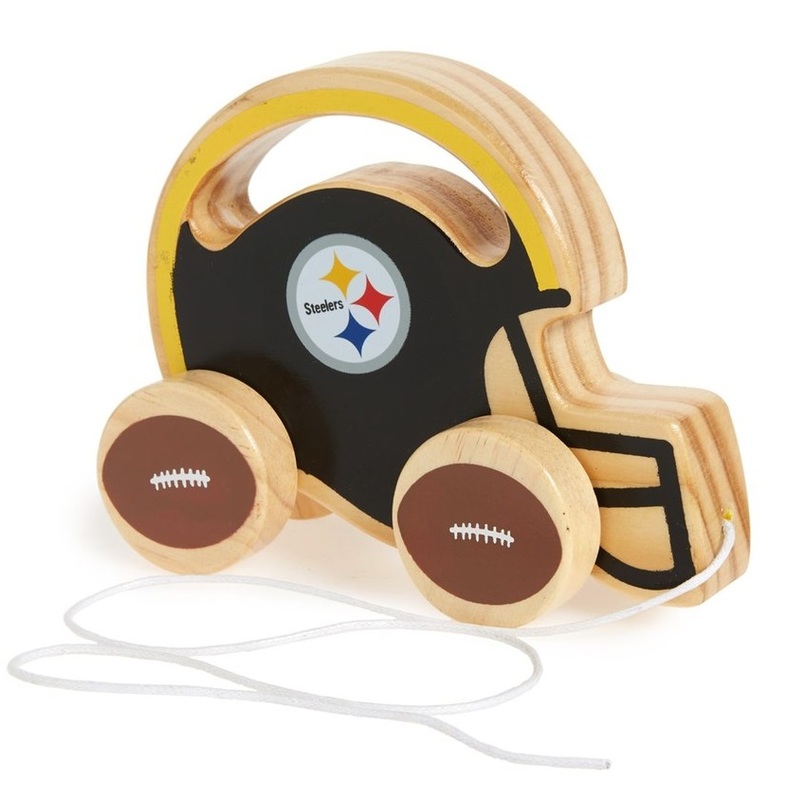 100% baby safe toy is made with real wood, non-toxic colors & finishes, and free of BPA, phthalates, & formaldehyde. Official MLB Licensed toy is a great gift for new dads, fans & baby showers. Help baby develop gross motor skills and hand-eye coordination by sitting up to build strong new muscles to push the toy. Pull the toy by the attached cotton string when walking begins. 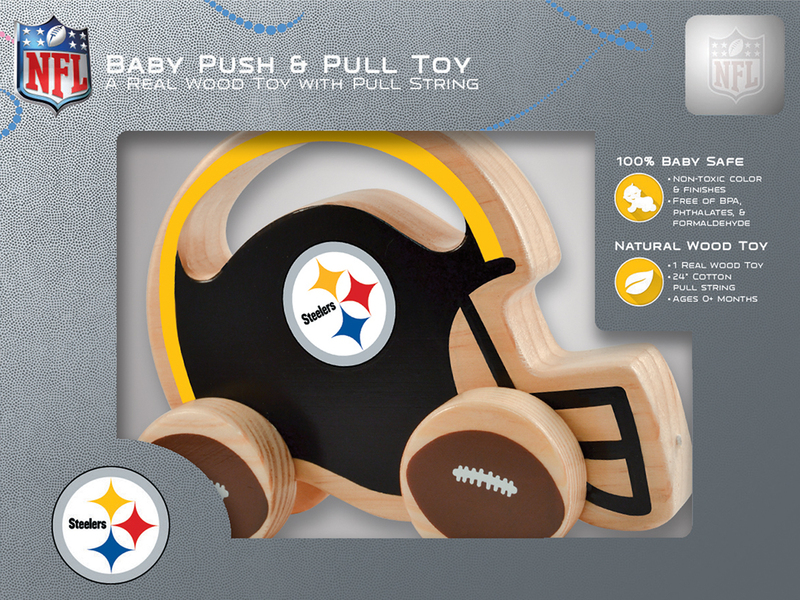 100% baby safe toy is made with real wood, non-toxic colors & finishes, and free of BPA, phthalates, & formaldehyde. 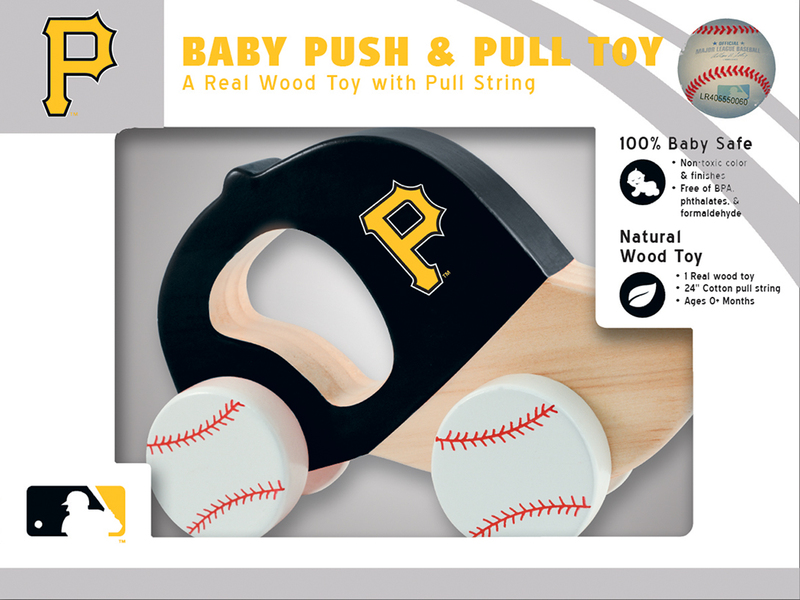 Official MLB Licensed toy is a great gift for new dads, fans & baby showers.